Making your partner feel treasured and loved is a key component to making your relationship last. To boost your bond and keep your other half feeling like your number one, try these easy ways to express how much they mean to you. After all, even the smallest gestures of gratitude can go a long way. Bring your partner coffee in bed. For those of us who rely on caffeine in order to feel alive in the morning, having someone bring you coffee is one of the kindest things that can ever happen to you. Plus, if you’re going to the kitchen to fill up a cup for yourself, it’s super easy to grab another mug for your partner. Make it the way he or she likes it to show just how much you care. Say thank you. 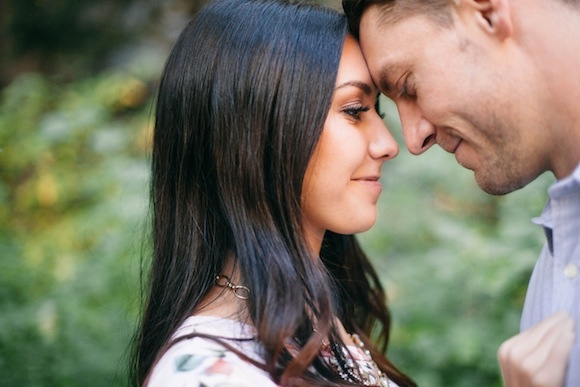 Sounds silly to suggest but, seriously, when’s the last time you really thanked your partner? From paying half the rent to being your other half, your partner deserves hearing how much you appreciate him or her. Showing your gratitude is a great (and super easy) way to strengthen your relationship and make your partner feel valued. Take over dishwashing duty. Maybe you and your partner have a deal, you cook and he/she cleans up. But if your beloved had a particularly stressful week, help them take a load off by taking over their nightly tasks, even just for one evening. When you’re the one having a hard time, you know your partner will be there to pick up your slack. Finally use the gift your partner bought for you. Perhaps your partner got you a juicer or new speakers for your last birthday…but you’ve been too busy to even take the present out of the box. Make a point to finally put whatever it is to use — your partner will be happy to see you finally trying it out. Offer up a foot massage. A spontaneous foot massage during your next Netflix binge-watching sesh can go a long way toward making your partner feel special. And, of course, he or she will more than likely return the favor. We like to call that a win-win, Loverlies. Ask him or her for advice. For the most part, we all like feeling needed and some of us even live to problem-solve. If that sounds like your partner, make him or her feel invaluable by seeking their opinion on a work-related issue you’re having or even something as simple (and tedious) as how to invest your 401K. Even if you partner doesn’t have all the right answers, they’ll like being reminded that you appreciate their opinion. Let your partner sleep in. Whether you guys have to get up in the morning to let the dog out or to move your car, give your partner the opportunity to catch a few more z’s while you take on whatever duty forces you out of bed. Because, truly, that’s love right there. Run an errand for your partner. Perhaps your partner keeps mentioning, day after day, that she’s been meaning to pick up her dry cleaning or he needs to buy more razors, but the task just keeps slipping their mind. Show you care by doing whatever it is for him/her — they’ll be more than thankful for having one less item looming on their to-do list.